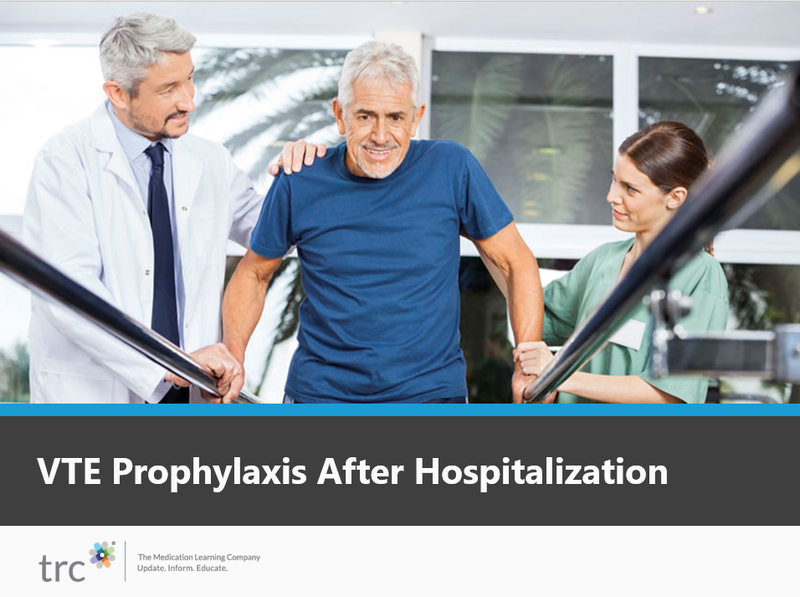 When is VTE prophylaxis needed after hospitalization? How long should VTE prophylaxis continue after hip or knee replacement? Which anticoagulant is preferred for VTE prophylaxis after hip or knee replacement? Can lower-VTE-risk patients use an anticoagulant for a shorter duration after hip or knee replacement? How can errors with VTE prophylaxis be prevented during transitions of care?